It’s messy play time – dirt, sand, water, bits of plants, stones etc. – all provide so many opportunities for learning with our outdoor kitchen range. Expression, invention, co-operation, cognitive skills and even children’s immune systems will benefit from outdoor messy play. 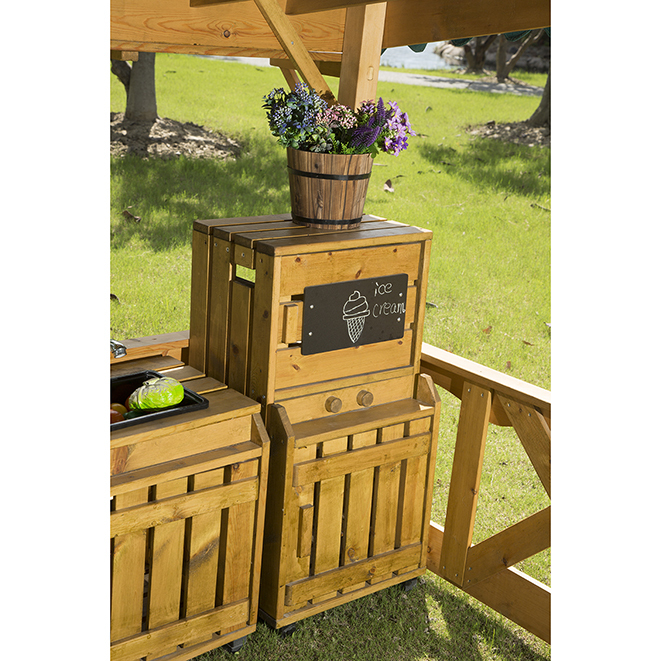 Store all your ice creams and soft drinks in this tall refrigerator with chalkboard.